September 2008 - shoes info, thanks to Mandee. 10th October 2008 - shoes info, thanks to Eylül. 17th October 2008 - dress info, thanks to Eylül. 21th October 2008 - copy-cat outfit, thanks to patkins. 31th October 2008 - missing pitcures. 7th November 2008 - dress where-to-buy info, thanks to patkins. Toys 2008 - suri's toys info, thanks to Mandee. 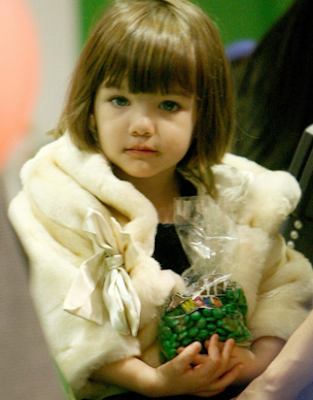 Suri holds onto a bag full of green M&Ms as she visits the M&M’s World Store with her older sister Isabella in Times Square, New York City on Saturday, 29. 1) Exploded Check Dress by Burberry. 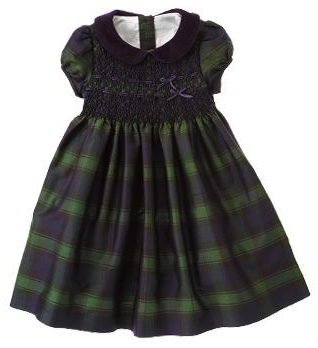 2) Hand Smocked Plaid Dress from Embellished Elegance line by Janie & Jack. Suri & Tom joined the Beckhams and they all went to Lucky Strike Lanes in New York for a few games of bowling, on Friday 28. Katie and Victoria did not venture on a trip with the boys, preferring to get ready for their evening out. Tom and Katie take their three children — Isabella, 15, Connor, 13, and Suri, 2 — to lunch at Italian restaurant Serafina on the Upper East Side of New York City on Friday, 28. The Cruises reportedly met up with the Beckham family for the third day in a row. 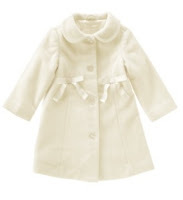 Suri is wearing White Coat from Tartan Rose line by Janie and Jack. so, if you find this picture PLEASE send me the link. 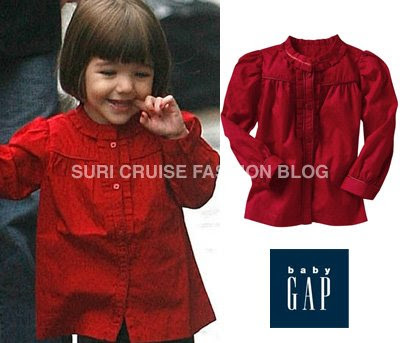 Suri is wearing Red Duchess Dress by Ralph Lauren Children. 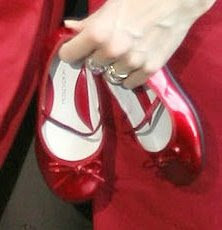 Suri is wearing Bella Ballet Flat in Candy Red by Nordstrom, which she firt wore on November 20th. 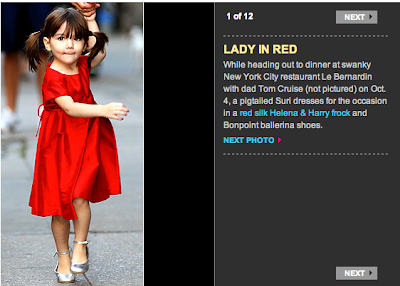 People.com made this cute slideshow, called: Suri's Stylish Year! Stepping out for another family outing, Tom Cruise and Katie Holmes were joined by David and Victoria Beckham for a stroll through Central Park on Thanksgiving Day, on Thursday 27. Along for the midday adventure were Tom’s three kids, Suri, Isabella and Connor, as well as the Beckham’s three children, Cruz, Romeo and Brooklyn. The group all headed off to check out the Big Apple Circus taking place in Uptown Manhattan. 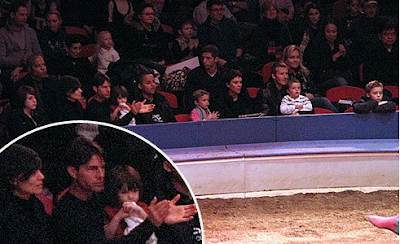 Inside picture of the Cruises & Beckhams enjoying the show. 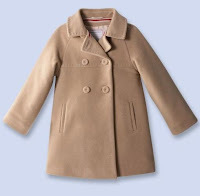 Suri is wearing Beige Velveteen Coat by Burberry. ALPHEE Soil Coat from College 60's line by Jacadi. Tom Cruise and Katie Holmes take their kids — Isabella, 15, Connor, 13, and Suri, 2 — to dinner at Italian restaurant Il Cantinori in New York City on Wednesday with David and Victoria Beckham and their three sons — Brooklyn, 9, Romeo, 5, and Cruz, 3. Suri is wearing Silver Ballerina Shoes by Bonpoint. Suri & Katie out and about New York City on Monday, 24. 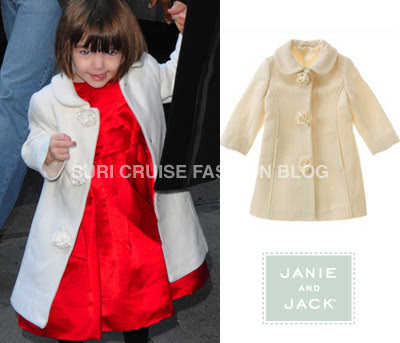 Suri wore this dress in May 2008 and this jacket in October 2007. 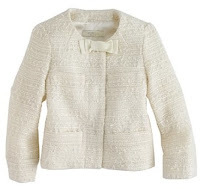 Patrice Dress and Ivory Tweed Coco Jacket by CrewCuts. 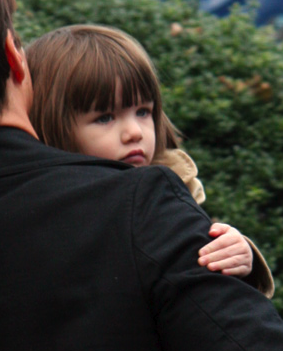 Suri & Katie were photographed in front of their apartment building in NYC on Saturday, 22. Bow Wool Blend Coat from Uptown Holiday line by Janie and Jack. Suri & Katie on their way to the apartment in New York City on Friday, 21. Suri is wearing Ribbed Sweater Dress by Juicy Couture. 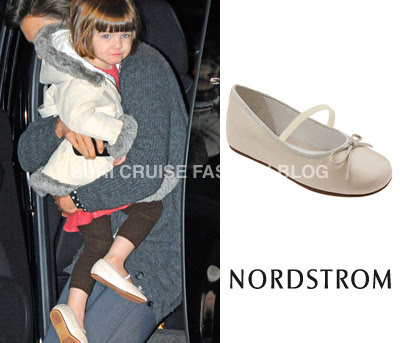 Suri is wearing Bella Ballet Flats in Bone Pearlized Leather by Nordstrom. 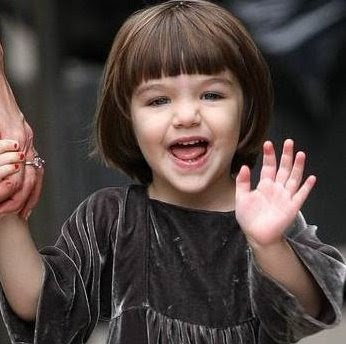 Suri & Katie spotted on their way to their New York City apartment on Thursday, 20. 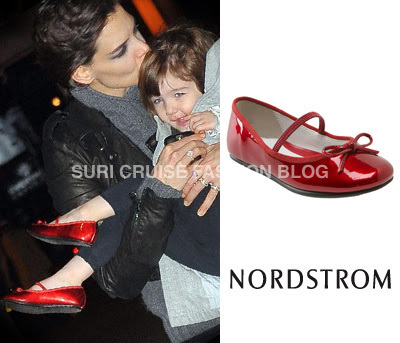 Suri is wearing Bella Ballet Flat in Candy Red by Nordstrom. Grey Swing Coat by 3.1 Phillip Lim. 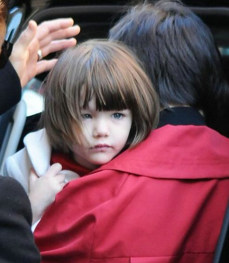 Suri & Katie spent some time at Rockefeller Center in New York City on Wednesday, 20. 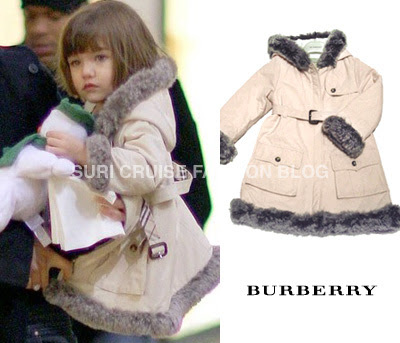 Suri is wearing Fur Trimmed Parka by Burberry and Grey Patent Shoes by Polder, which she first wore on October 10. Thanks again to Mandee for the coat info! 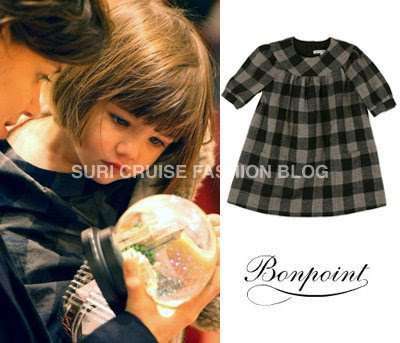 Suri is wearing BOHEME2 Brown Checked Dress by Bonpoint. Suri & Katie are spotted leaving their NYC apartment on Tuesday, 18. Tom Cruise and Katie Holmes celebrate their two year anniversary today! The pair got married in Italy two years ago. 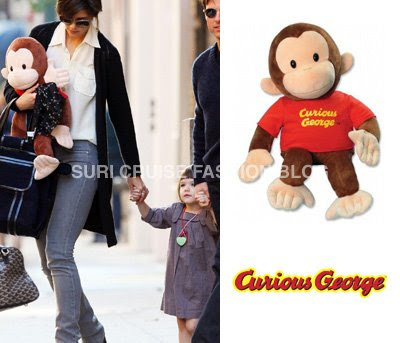 Suri playing with Curious George Plush Monkey on October 27. Thanks to Mandee for the scoop. 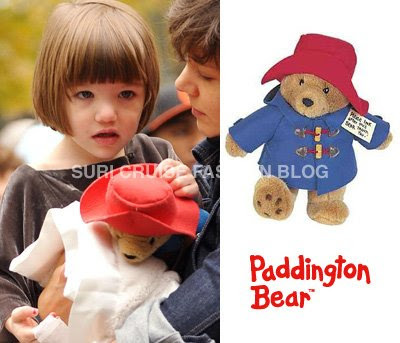 Suri playing with Cuddly Classic Paddington Bear on November 7. Suri & Katie visit the Metropolitan Museum of Art (The MET) in the morning. .... and go for a walk through Union Square’s Farmer’s Market in the afternoon on Friday, 7. 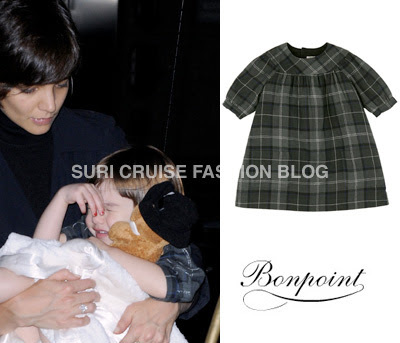 Suri is wearing Velveteen Dress from Holiday Collection by Bonpoint, which she first wore on October 6. 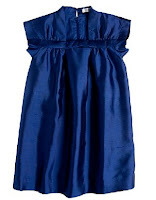 Thanks to patkins for where-to-buy info on this dress. Suri & Katie heading back to their apartment after shopping at Barnes & Noble on Thursday, 6. 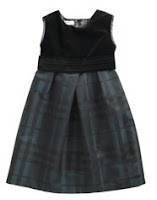 Suri is wearing BOHEME2 Grey Dress by Bonpoint and Red Sparkly Ballet Flats by baby GAP. 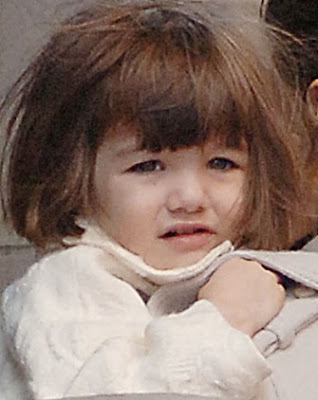 SURI CRUISE: Tom and Katie Plan a Baby Bro for Suri! Tom and Katie are planning more kids, and no one is more supportive than Tom’s ex, Nicole Kidman. OK! breaks down why Nicole has challenged Katie to bring another boy into the Cruise legacy, and when Katie will take the plunge to have baby No. 2! Suri is wearing Red Sparkly Ballet Flats from Picture Perfect line and Red Party Blouse from Lodge line, both by baby GAP. 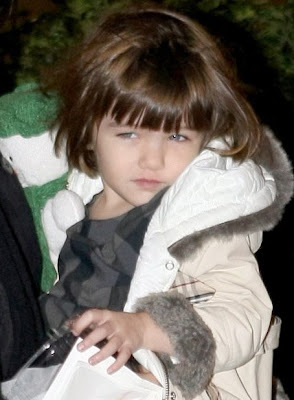 Suri & Katie go for another walk through rainy New York City on Thursday, 6.